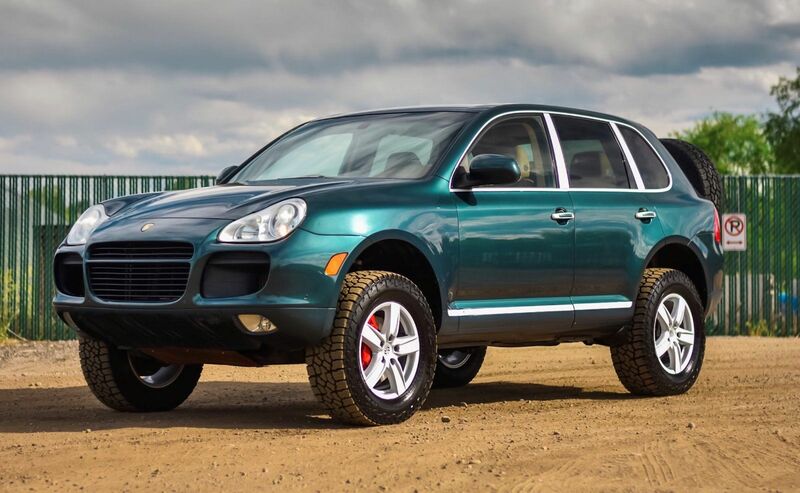 Did the world need a 450 horsepower Porsche off-roader? Maybe not. Is it cool that one exists? Certainly. 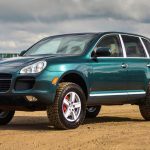 Porsche came to the SUV party a little later than Mercedes-Benz, BMW and even corporate partner Volkswagen, but when it did it came in with some serious motivation. 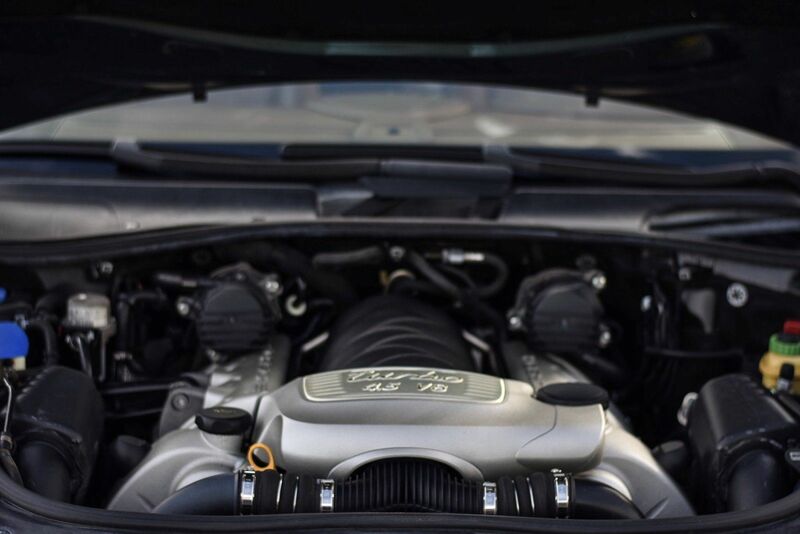 Alongside the VR6 and V8 models – already fairly potent engines – came a twin-turbocharged 4.5 liter unit. With 450 horsepower and 460 lb. ft of torque mated to a six-speed Tiptronic transmission, acceleration was blistering. The 5,700lb heavyweight hit 60 in a sports car embarrassing 5.3 seconds and was capable of topping 170 mph. Massive six piston Brembo brakes provided 911-like braking capability, too, and while in default the car had a 60 percent power bias to the rear, Porsche Traction Management system could transfer up to 100 percent of the power to whichever axle needed it most – or, more properly, was using it best. That hinted that this was more than just a tall on-roader like the X5. 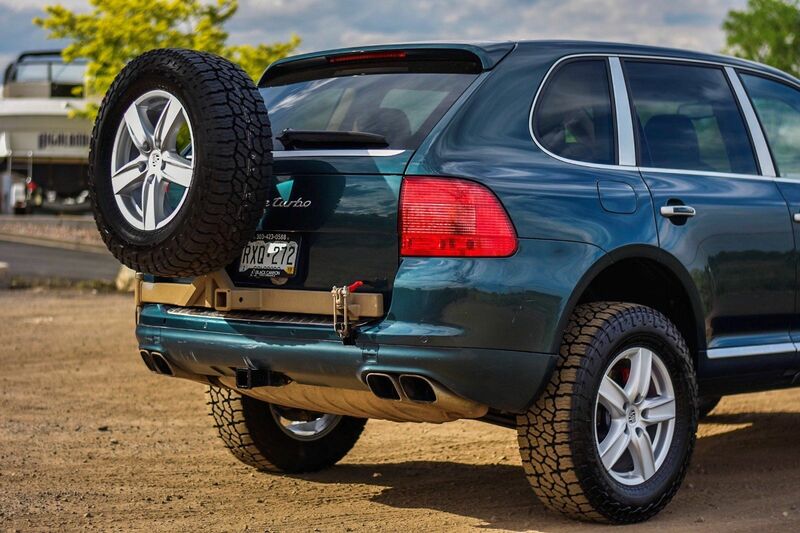 No, the Cayenne was a serious off-roader. 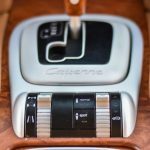 With lockable center and rear differentials, a low-range box with planetary gearing and height adjustable air suspension, it was more than competent when the going got rough. And with short overhangs both front and rear, it could actually conquer big elements. Pushed, it could also head through nearly 2-foot deep water, as well. Thousands invested in extremely recent repairs, maintenance and upgrades. Professionally detailed and paint corrected. Transmission shifts perfectly and smoothly. Passing emissions inspection in hand. 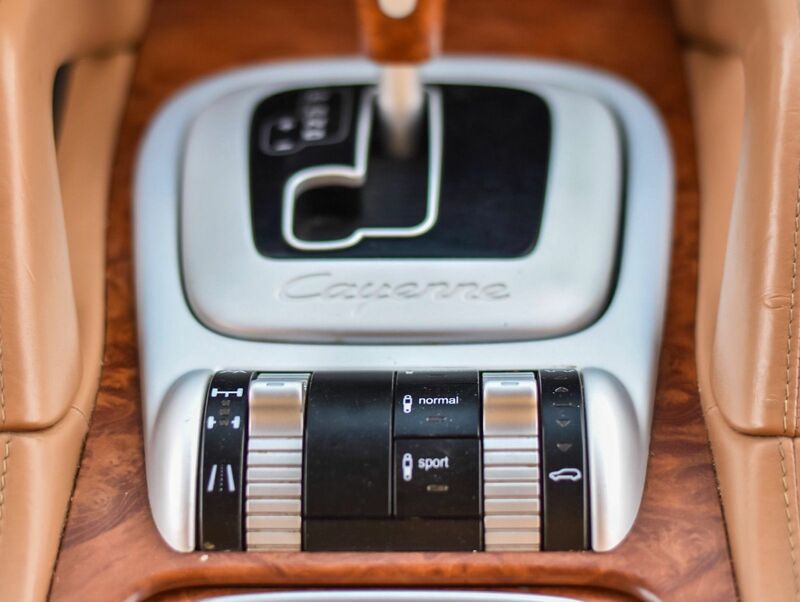 This Cayenne has been prepared and built to use exploring or simply show off around town. 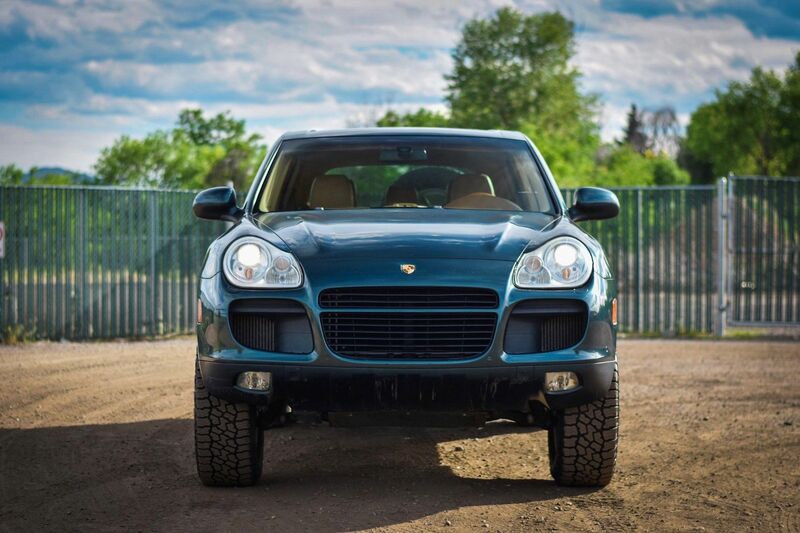 My goal with everything I did to this Cayenne was to make it as reliable and mechanically sound as possible. No expenses were spared. The truck doesn’t leak any fluids, the under side is dry and clean. My intention was to use this truck off road for exploring this summer, however being a previous pick-up owner, I decided I really needed a pick-up again. This was a fun project and I was shocked at how capable these vehicles really are off road. 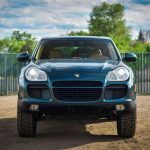 It is capable of similar terrain to a mild lifted Toyota 4 Runner or Tacoma. It’s also a fantastic tow vehicle, though I only towed my boat with it a couple times. I just had the entire car detailed, including a paint correction and wax. As the pictures show, the paint looks fantastic. There is normal wear and tear for a vehicle of this age and mileage, however I would say its in overall great shape. The passenger front seat has a tear in it, which could be repaired if its a concern of the new owner. The front bumper has some clear coat peeling and some scratches but no major damage. Under the rear license plate there is a chunk of paint (pictured) that has chipped off. No major rust here, touch up paint or a full respray of the hatch would completely resolve. 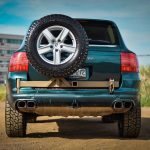 The rear spare tire carrier was custom made, and the rear bumper was cut to accommodate it. This carrier could be removed if desired, and the bumper replaced and no one would ever know. As you will notice the swing out/carrier also has a receiver on it. 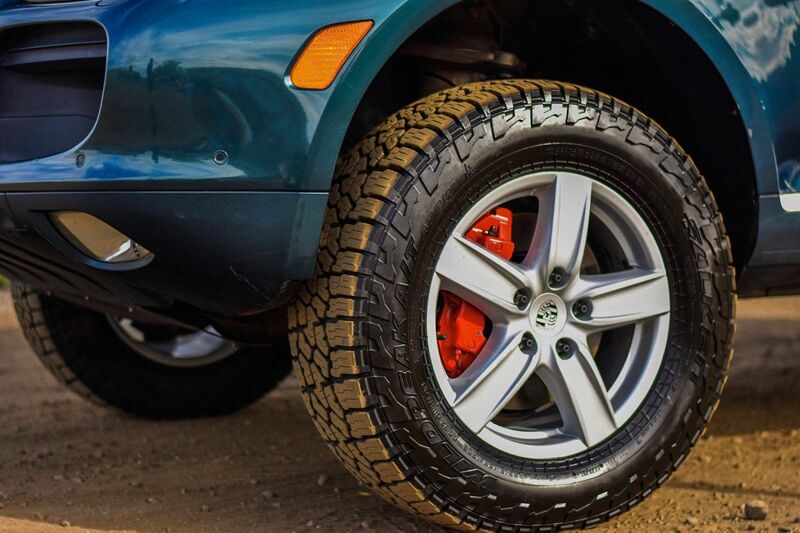 This is not for towing, but is for having a hitch style bike rack higher off the ground for better ground clearance in the rear, and also allows you to tow at the same time with the regular hitch, if desired. 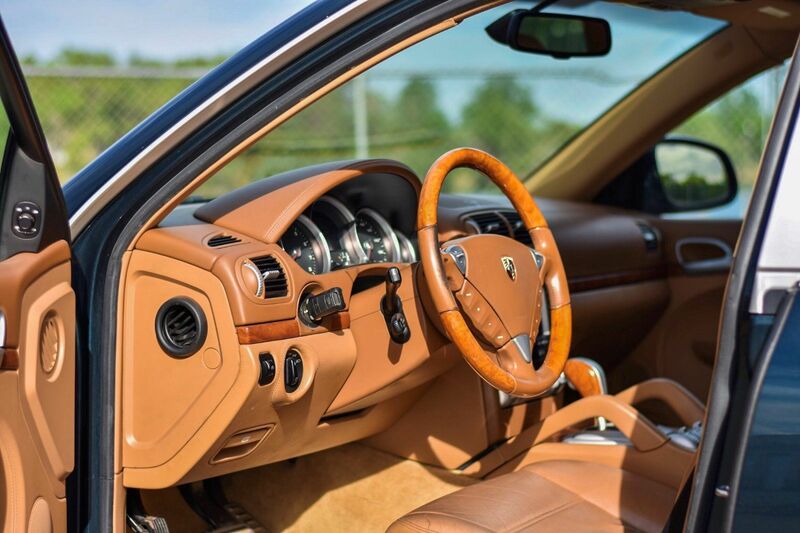 Dark Teal Metallic with Havannah Sand Beige is a lovely combination to see on the mostly black, silver or white first generation 955 Cayennes. But what really sets this model apart is of course the heady lift. 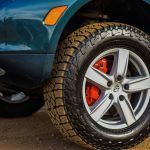 With three more inches of ground clearance, the build allowed for the mounting of 32″ tires on the 18″ wheels for a rally raid-inspired look. That’s matched by the external mounted spare; I can’t help but look at this Turbo and think back of the early 1990’s Golf Country. But again, more than just a looker, this car has the performance to back up the look and the maintenance to exploit it. As off-roaders go, you won’t find many as nice looking or fast in this price range, nor will many be more capable. But the look alone might be worth the price of admission, especially to get it a bit muddy and head to the local PCA event. 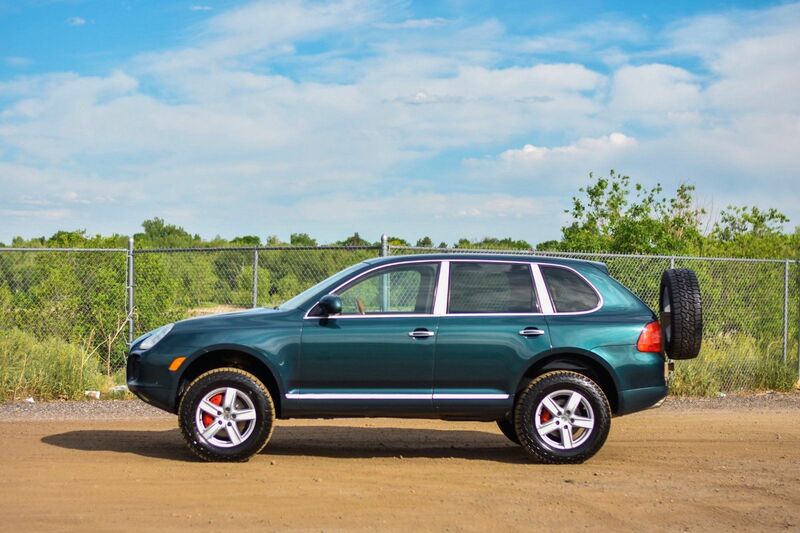 Tagged 2004, 955, 9PA, Cayenne, Feature Listing, Sponsored Listing, Turbo. Just finished my Lexus GX470 Car camping/off-road (Overland if you speak Instagram) project, deep down this is what I really want. Toyota upkeep is almost boring coming from late model German automobiles, I suppose that’s a bonus in the backcountry. However 450hp and stupefying ignorant people out on trails with this would be priceless. Seen this on Denver CL just this morning. I think it is great. Kudos to the vision and execution! Pretty color, or at least a pretty camera filter. 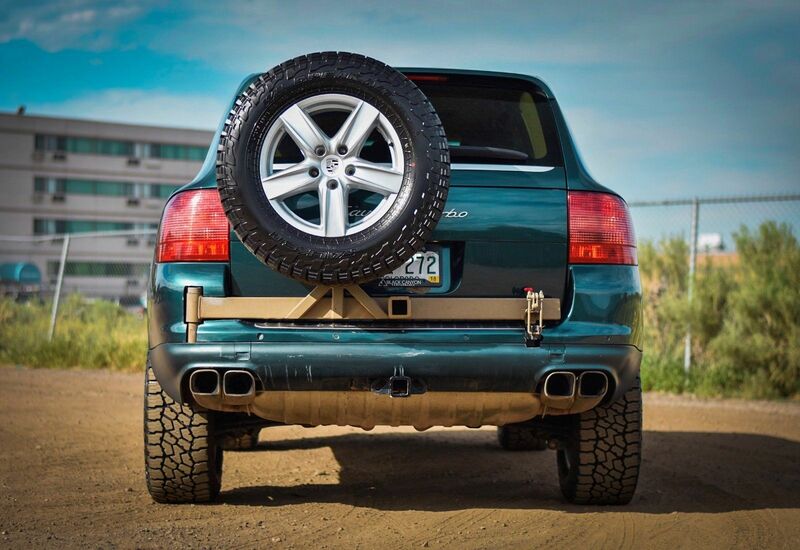 I respect using a P!G off road and the genuine need for a spare tire while doing so, but that rear mount is awful!! 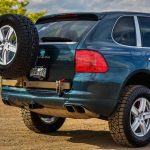 I agree its a bit crude for a Porsche, but that’s consistent with homemade tire carriers on other overland vehicles that receive praise in other circles. I don’t hate it, in fact I am happy to see somebody outfit a Porsche like they would a 4runner and actually use it. 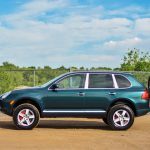 I appreciate the sentiment… “My goal with everything I did to this Cayenne was to make it as reliable and mechanically sound as possible. No expenses were spared.”.. but didn’t Porsche already do that?! 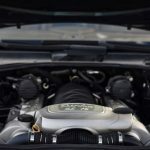 Porsche put plastic coolant pipes in the valley of the motor. So that would be the antithesis of increasing longevity and cost justification. All those cookies crumble.